This is the periodic newsletter of Southern Oregon Success (SORS). We weave together the talent, expertise, and resources of the entire community to promote the health, academic, and life success of our children, youth, and families. SORS envisions a community in which all our families provide stable and nurturing homes for our children; all children are ready for kindergarten; and all youth are succeeding in school, transitioning successfully to meaningful adult lives, and contributing to a thriving economy. Contributions in the form of stories or story ideas, photos and graphics are welcome and encouraged. To find out more about SORS or to contribute to this newsletter, please contact Peter Buckley at Peter_Buckley@SouthernORegonSuccess.org. 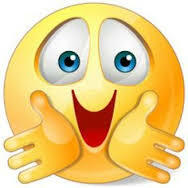 SORS is on Facebook. Find out about the latest Trauma Informed Practices, relevant events, or the doings of our many partners. We are happy to let others know about topical news from your organization as well. Find and friend us at http://www.facebook.com/SouthernOregonSuccess or click on the logo at the bottom of this page. Contact Peter at Peter_Buckley@SouthernORegonSuccess.org for more information. George Bernard Shaw said, “Progress is impossible without change, and those who cannot change their minds cannot change anything.” And so the volunteer leadership of Southern Oregon Success turns toward 2017 in appreciation of the accomplishments of 2016 and in preparation for the year of change ahead. Seth Kaplan, one of SORS two project managers, will be leaving at the end of this month to resume his consulting work with nonprofits, public agencies and emerging collaborative initiatives. Peter Buckley will continue and expand his role, supported by Administrative Assistant Kristi Nelson. This moment in time provides leadership with an excellent opportunity to assess and prioritize the work moving forward. You will hear more about this in the new year. Highlig hts from this year have included SORS’ emergence as a cross-sector convener and as a leader in Adverse Childhood Experiences/Trauma-Informed Care education. SORS hosted the June Key Leaders convening on Adverse Childhood Experiences, presented by Laura Porter from ACE Interface LLC, and the October Key Leaders convening on Collective Impact, presented by Liz Weaver from the Tamarack Institute. Both were extremely well attended and inspired growing awareness of our region as a collaborative learning community. Smaller cross-sector convenings were also impactful in surfacing regional innovations and partnership opportunities. Some of these included opportunities to share our message beyond the region by hosting Southern Oregon’s Education, Workforce, and Economic Success with OregonASK; Education-Mental Health Partnership with the Oregon Department of Education and Oregon Health Authority; a listening tour with Colt Gill, the Governor’s Education Innovation Officer; and the Youth Development Council community gathering for youth and providers. SORS took a leadership role in planning, education, and implementation of the Self-Healing Communities Initiative this year, along with ACE Interface, Kairos, and other key partners. SORS Project Manager Peter Buckley presented Adverse Childhood Experience Study information to almost 800 people while participating in the planning, implementation, and promotion of Next, NOW; screenings of Paper Tigers; NEAR Training; and pilot projects to introduce ACEs awareness into kindergarten readiness, teacher training, and other activities across the region. These and other activities occurred while SORS staff and volunteer leadership worked hard to build a strong Steering Committee and flexible governance structure. This has truly been a strong fifth year of building a cross-sector, developmentally focused, collaborative plane while flying! We have no doubt next year will feature important developments from Southern Oregon Success in service to the children, youth, and families of Southern Oregon. Stay tuned for the progress to come. In the meantime, enjoy the Southern Oregon holiday season. As Teresa Sayre, Superintendent of the Phoenix-Talent School District, and Southern Oregon Success Steering Committee member, prepares for her final semester before retirement, she may not yet be ready to fully reflect on the transformation taking place districtwide. Fortunately, she has a roadmap, the Journey to Excellence for Everyone, to point the way. 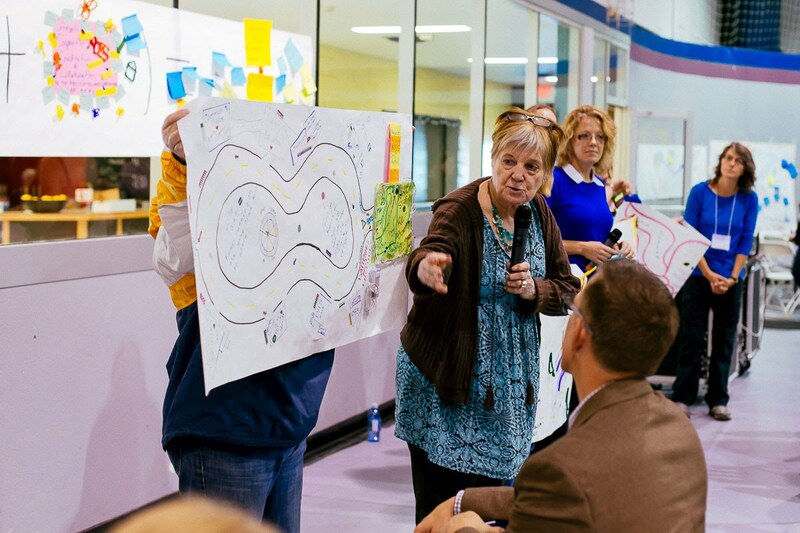 A series of actions is spelled out for each goal, as a core group of planners worked across the district to shift from vision to seeking directions and solutions. In August 2015, Teresa Sayre met with six other superintendents across the state in what came to be known as the ACE Intervention Learning Collaborative. 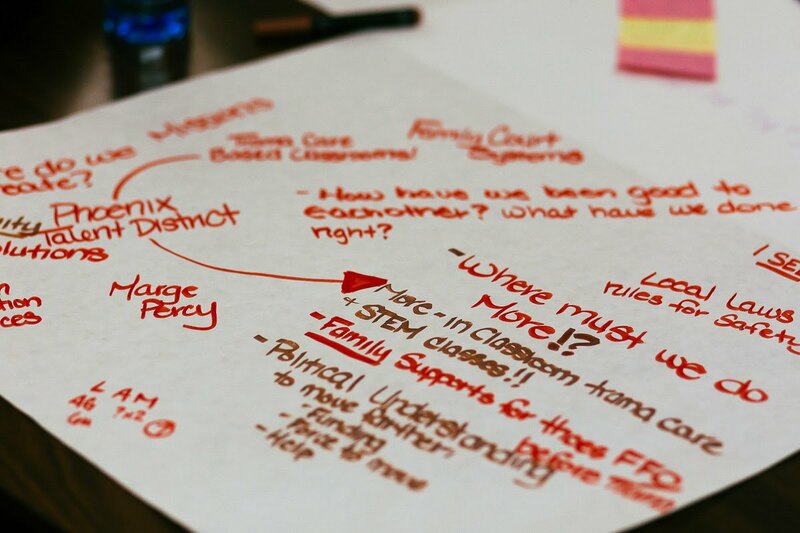 Following informal conversations, the group agreed to create teams within each of their districts to gain an understanding of Adverse Childhood Experiences and how to transform their schools to better address this compelling issue. The Phoenix-Talent team included the superintendent, four principals, director of special programs, and two teachers on special assignment. Teresa describes one teacher who, after inheriting a tough class at the beginning of the year, would find herself saying, “next year’s class will be better.” In more recent years, she has noticed the classes are tough every year. Children’s needs are not being met. A series of beliefs, such as, “We believe that our schools provide a safe environment where healthy values, minds and bodies can grow and learn” rounds out the plan overview. You can find the Phoenix-Talent School District strategic plan, Journey to Excellence for Everyone, on the Superintendent’s Page of the district website: www.phoenix.k12.or.us. Washington’s Cowlitz County is not unlike Southern Oregon counties in some key ways: when timber, fishing, and manufacturing industries went bankrupt, jobs were lost, as was a way of life, which has not readily been replaced. Underemployment, health, education, and social problems were chronic and among the worst in the state. The Self-Healing Communities Model (SHCM) was adopted in Cowlitz County as a response to a region in broad decline, and the stunning success achieved there by Laura Porter and her collaborators has brought hope and energy to community leaders across the nation, including many in our region. Shifting from a model focused on direct services targeted at families to one that supports parents as agents of their own culture change had profound impacts in a broad range of outcomes while shifting communities from a focus on need and illness to self-healing and empowerment. Over 10-15 years, the county saw improvements in infant mortality, child injury hospitalizations, suicides and suicide attempts, and high school graduation to name a few. This success led Laura to join with Dr. Robert Anda to co-found ACE Interface, LLC, and bring their successful results nationwide. ACE Interface was hired by local Coordinated Care Organizations AllCare Health and Jackson Care Connect to replicate this work in Jackson and Josephine counties. Many of us have had the chance over this past year to attend trainings and extended workshops from Laura and Kathy Adams. As the ACE Interface contract with our region moves into its last phase, we wanted to share a little more about Laura and how she thinks the work is going here in Southern Oregon. 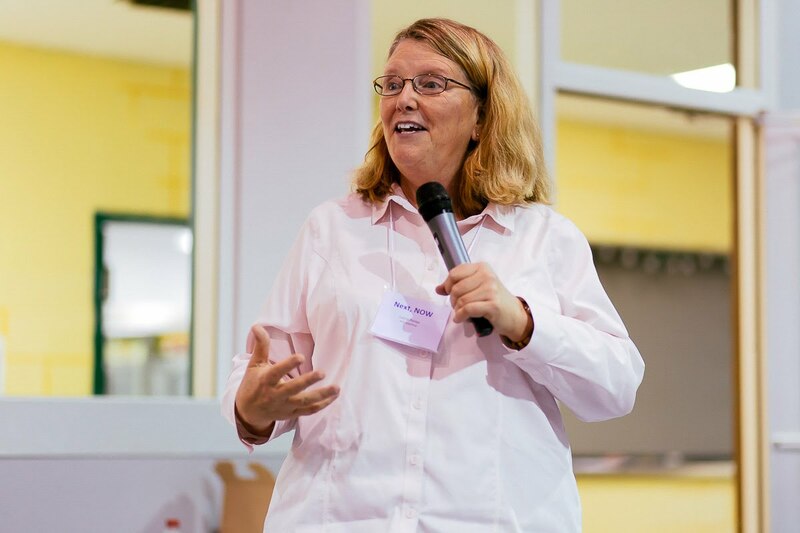 Along with co-founding ACE Interface, LLC, Laura serves as the senior director of The Learning Institute at the Foundation for Healthy Generations. She supports leaders in over 25 states with education, facilitation, and empowerment strategies for building flourishing communities. In her state employee role, Laura was essentially a funder for communities willing to engage in community building. When she left, she was immediately confronted with the question of why communities would engage with her if she wasn’t bringing money or resources. “What are the other ways one can become a magnet to draw in community?” ACE Interface, LLC emerged from that question as a resource for communities trying a different relationship with the service professions than the one that leaves both sides feeling dissatisfied and discouraged. “In Sou thern Oregon and elsewhere, there is a great divide between people who deliver services and people who receive service – or are trying to receive service. This very fact of one person perceived as having something and one person being perceived as needing something creates a veil from true connection. Professionals and systems leaders have a bias toward service, but most people don’t see themselves as a recipient of services – they see themselves as something more than that. Laura and her project partner, Kathy Adams, have been working in Southern Oregon for 18 months, and have come to know our qualities and quirks pretty well, so it is valuable to get that neutral outsiders view now that they’ve been here for a while. The developers of Seven Essentials will be providing their first west coast train the trainers program here so they can more broadly integrate Trauma Informed Practices across the region. Laura and her partners are moving into a new level of research as they wonder about what types of positive adult experiences can overcome high ACE scores; for example, a healthy social network seems to have a positive impact. 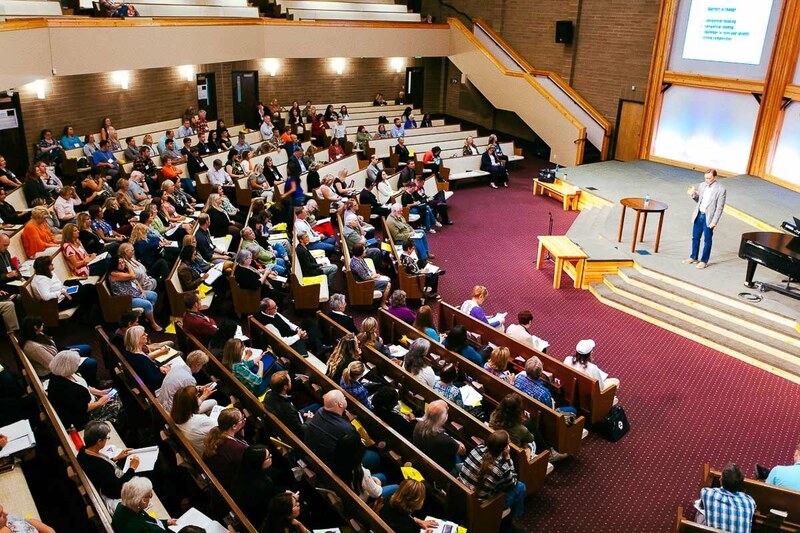 More than 300 residents of Southern Oregon converged on Parkway Christian Center in Grants Pass, October 10th and 11th, to hear from their neighbors, as well as nationally renowned speakers, about Adverse Childhood Experiences (ACEs) and what we can do to become the future we’ve been waiting for. The event was designed and implemented by the Southern Oregon ACEs Stewardship Group, supported by Laura Porter and Kathy Adams from ACE Interface. The ACE Interface work in Southern Oregon is funded by AllCare Health and Jackson Care Connect. Next, NOW was also resourced by The Ford Family Foundation, Gordon Elwood Foundation, Primary Health of Josephine County and many others who provided in-kind support. SORS Project Manager Peter Buckley is a member of the ACEs Stewardship Group and Seth Kaplan facilitated one of the community groups. Next, NOW was billed as the next step in the Self-Healing Communities Initiative (SHCI), a trauma-informed strategy for everyone in Southern Oregon to contribute to the healing, recovery, and wellbeing of our region. The initiative uses an evidence-based process that weaves together the wisdom of individuals’ with “lived experiences” with the professional experiences of service providers and systems leaders whose work focuses on improving the social determinants of health. SHCI is a community focused response to the ACEs Study, which is often called the largest public health discovery of our time and the most powerful determinant of the public’s health. Childhood experiences in general are linked to social determinants of health and a high number of Adverse Childhood Experiences links directly to poor health outcomes as proven by the research published in 1998 through the Centers for Disease Control and Prevention. Awareness of this brain research is the first step to changing the high percentage of individuals in our region with significant disease associated with ACEs, and to intervene in the multi-generational nature of ACEs in families. Next, NOW was kicked off by Dr. Robert Anda, co-principal investigator and co-founder of the original ACE Study, who provided a heart-felt presentation on what we have learned from the study and how communities can work together to build individual, family, and community resiliency. Dr. Anda was followed by Dr. Sandra Bloom, a renowned author and lecturer about creating nonviolent environments, who presented a fascinating lecture on group and organizational dynamics. Armed with new insight from Dr. Anda and Dr. Bloom, community members and service professionals broke into geographic groups from Ashland, coastal communities, Grants Pass, Illinois Valley, Medford, Roseburg, and rural communities. Each group spent the next day and a half identifying what is working well in their community, what can be improved, and a vision for each community’s future. The bulk of the two-day event involved community participants going into depth together about the actions they might take to realize this collective vision for a better future. Each group created a poster to present their commitment to action to the full convening. All present were then given the opportunity to offer help, provide encouragement, or raise concerns. Each group had a unique perspective, although most spoke to the need to build an ACES learning community. One group from Medford came up with the idea of becoming Hope Dealers, with each member taking on a task to build hope in their community. Pastor Chris Ward has offered the use of Westminster Presbyterian Church for meetings. The Coastal Communities group spoke with passion about the alarmingly high rates of suicide in their part of the world, and asked for help to address it. Many stepped forward to offer services and support. Some in Grants Pass spoke of creating a youth center. Ashland spoke of implementing health assessments, mental health counseling, and parent groups at Ashland High. For next steps on Next, NOW – or to view presentations, photos, or poster plans from the day, you can access the website on the ACES page at www.southernoregonsuccess.org or go directly to the Next, NOW site at https://sites.google.com/site/nextnowconf/home. Colt Gill, Education Innovation Officer for the Governor’s Chief Education Office visited Southern Oregon earlier in the Fall and left proclaiming, “this is a unique part of the world. People from all different sectors seem to share a degree of caring that is highly unusual in my experience.” Following a visit to Klamath Falls, to visit with Klamath Promise members, Colt came to Medford to engage with K-12 superintendents, partners in the College and Career for All movement, Southern Oregon Success Steering Committee members, youth in the LifeART program, business leaders associated with Rogue Workforce Partnership, parents of school-aged youth, and the Southern Oregon Success Youth Development Work Group. Almost 12,000 students didn’t graduate on time in 2015. The following list shows those categories of students disproportionately most likely to not graduate, in order of likelihood: students with disabilities, Native American, African American, Hawaiian/Pacific Islander, students whose families were living below the federal poverty level, and/or Latino students. Students with the highest Chronically Absent Rates (missing at least 10% of school days) were (in order) Native American, disabled, Hawaiian/Pacific Islander, living below the federal poverty level, African American, and Latino. African American students are more likely than other students to attend college once they graduate high school, at a rate of 74% to 69%. Students who have participated in an experiential Career Technical Education program are more likely than other students to graduate high school in four years, at a rate of 88% compared to 72%. Differential rates are even more significant for African American (84% to 60%), Latino (86% to 65%), Native American (77% to 54%), and students living below the federal poverty level (83% to 64%) than the overall rate. Non-native speaking Oregon students who attain English proficiency before they enter high school graduate at higher rates than students whose first language is English. Their on-time graduation rates are 20% higher than Limited English Proficiency students who do not attain proficiency before high school. 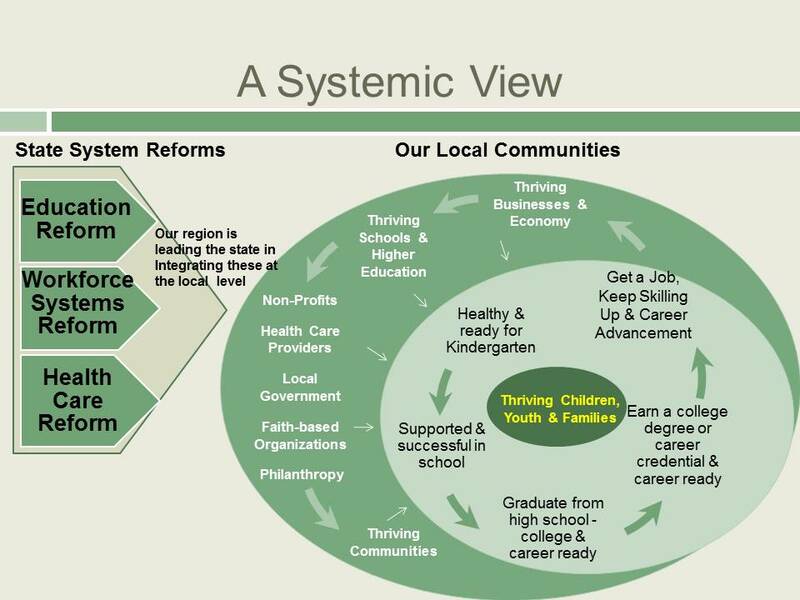 Invest in Equitable Outcomes: Target resources specifically to support and create opportunities for populations of students who our systems have historically underserved and who are disproportionately represented in the nearly 12,000 youth who do not graduate on time each year. Early Indicator Systems: Use data to create a collaborative approach among educators, students, families, and communities to support students on pathways to graduation. Counseling, Wrap-Around Services, and Career/College Planning Support: Oregon has one of the highest student-to-counselor ratios in the country. Invest in culturally appropriate and trauma-informed practices to ensure all students are meaningfully supported to graduate. Career Technical Education: Students engaged in applied learning programs graduate at a rate of close to 90% and this holds true across diverse demographics. Chronic Absenteeism: Attendance and graduation rates are closely linked. Potential strategies to reducing chronic absenteeism include a more engaging curriculum, culturally responsive and sustaining practices, and school-community partnerships. This vision is well aligned with the vision that has been evolving through Southern Oregon Success since 2012, and we are excited to partner with Colt Gill and the Chief Education Office in support of our region’s children, youth, and families. A beyond-capacity crowd of more than 130 key leaders from across the region convened at the Inn at the Commons October 5th to learn how collective impact principles can increase program success and forward our region’s community vision. Co-hosted by Southern Oregon Success and the Health Care Coalition of Southern Oregon (HCCSO), “Collective Impact: A Framework for Community Change” was led by Liz Weaver from the Tamarack Institute – an international leader in community engagement, collaboration, and collective impact. The October 5th convening continued a regional commitment to learning together that began in January 2012 with the launching of Southern Oregon Success. This 2016 convening focused on how we, as a community, can best work toward a shared vision through collective impact, a powerful collaborative framework for community change. Collective impact professes that, in order to create more effective solutions to social problems on a large scale, organizations need to coordinate resources and action around a clearly defined community goal. Collaborative impact emphasizes a commitment to community voice and equity, which made partnering with HCCSO a natural fit since they facilitate the Jackson and Josephine County Regional Health Equity Coalitions. Interest in Collective Impact has mushroomed since it was introduced as a collaborative framework in 2011. The State of Oregon, for example, requires collective impact as a condition of funding in many cases, and the language of collective impact is increasingly used within collaborative efforts to demonstrate increased rigor. At the same time, collective impact is both relatively new and evolving as a model. Liz Weaver devoted much of her presentation to helping people understand what collective impact is and where it can be most effective. As originally defined by authors Kania and Kramer, writing for the Stanford Social Innovation Review, “Collective impact is the commitment of a group of important actors from different sectors to a common agenda for solving a specific social problem, using a structured form of collaboration.” From there, the discipline has grown substantially in scope and depth. As Liz Weaver describes it, collective impact is distinguished from other forms of collaboration in that it requires a greater commitment of shared time and resources, it calls for a multi-sector solution that can’t be solved by any one program or a single focus, and it doesn’t lend itself to short-term impacts. She also noted that collective impact can only happen when it is pushed forward by one or more influential champions because of a broadly shared understanding of urgency to address an issue, and that adequate resources are assigned to the effort. Common Agenda: All participants have a shared vision for change including a common understanding of the problem and a joint approach to solving it through agreed upon actions. 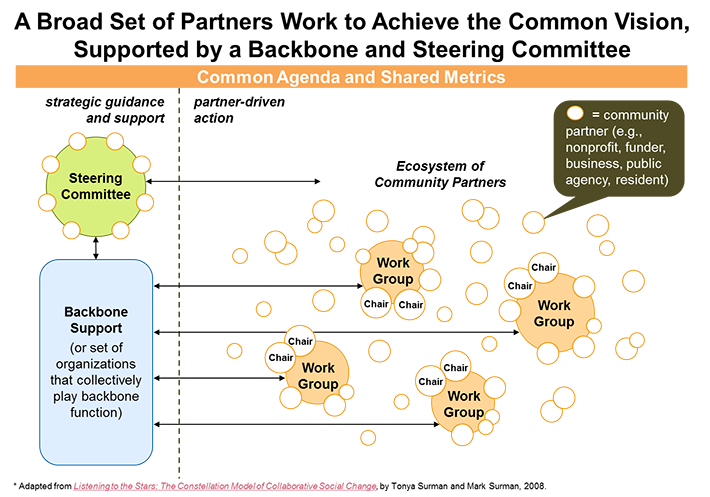 Shared Measurement: Collecting data and measuring results consistently across all participant organizations ensures efforts remain aligned and participants hold each other accountable. Mutually Reinforcing Activities: Participant activities are differentiated while still being coordinated through a mutually reinforcing plan of action. Continuous Communication: Continuous and open communication is needed across the many players to build trust, assure mutual objectives, and appreciate common motivation. Backbone Support: Creating and managing collective impact requires a dedicated staff and a specific set of skills to serve as the backbone for the entire initiative and coordinate participating organizations. To learn more about collective impact, go to www.tamarackcommunity.ca. Southern Oregon Success received notice that it has been awarded funding in the amount of $30,000 from the Oregon Community Foundation for backbone support of the initiative. As described in the application, “Funds will be used for staff costs to support the ‘connective tissue’ work essential to this phase of SORS development. This includes Adverse Childhood Experiences, youth development, volunteer leadership, parent engagement, data dashboard, and ongoing communication….” With this grant, combined with savings from the staffing reduction, SORS is at 91% of its projected budget through June 2017. The mission of The Oregon Community Foundation (OCF) is to improve the lives for all Oregonians through the power of philanthropy. OCF works with individuals, families, businesses and organizations to create charitable funds — more than 2,000 of them — that support the community causes they care about. These funds support the critical work that nonprofits are doing across Oregon. Through these funds, OCF awarded more than $103 million in grants and scholarships in 2015. 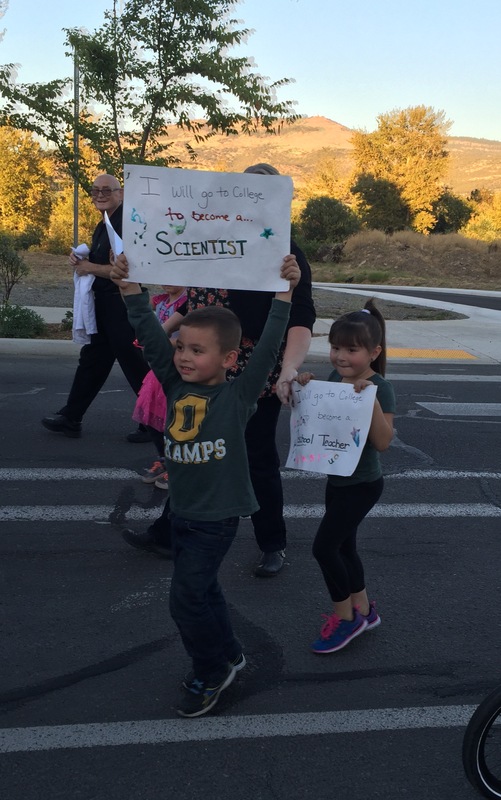 SORS operates from a lean budget, with administrative costs absorbed by fiscal sponsor Southern Oregon Education Service District. SORS has taken a leadership role in the regional Adverse Childhood Experiences (ACEs) Study work as well as building understanding and awareness for collective impact as a collaborative framework. With the unique role of SORS within the education, health, human services, public safety, and workforce arenas, Southern Oregon has an ideal opportunity to promote a common vocabulary, a common understanding and common approach across sectors. SORS staff and volunteer leaders are reaching out to key leaders and funders across the region and the State to support this effort. Please support Southern Oregon Success with a contribution! We would love to hear from you. Please contact Peter Buckley at Peter_Buckley@SouthernORegonSuccess.org. 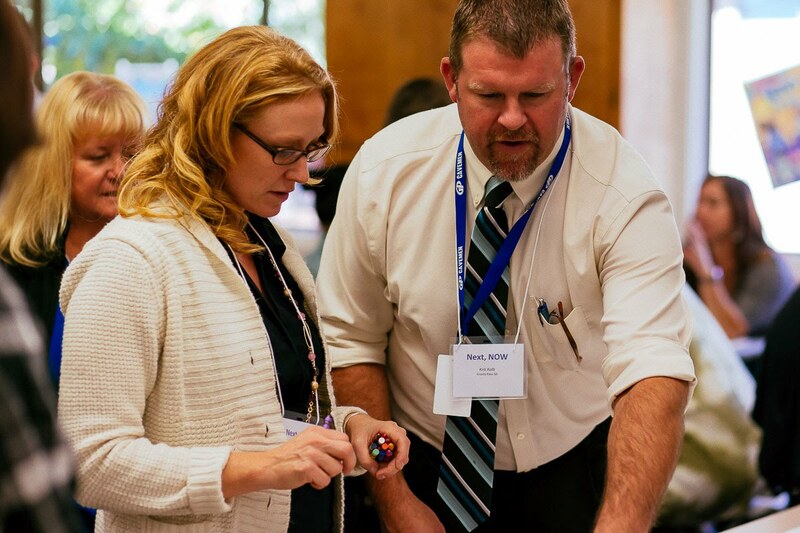 Regional leaders involved with efforts underway to improve student success, graduation rates and workforce readiness gathered October 10th for Southern Oregon’s Education, Workforce & Economic Success: Taking Partnerships to the Next Level. Close to 50 business, education, workforce, and health and human services leaders convened at the Rogue Valley Country Club, joined by elected officials to gain a better understanding of industry needs, the emerging workforce, and how to better align interests and priorities. The event was sponsored by Southern Oregon Education Service District, Southern Oregon Success, OregonASK, the National League of Cities, Rogue Workforce Partnership, and the Medford/Jackson County Chamber of Commerce. Attendees learned about Southern Oregon Success, College and Careers for All and the Southern Oregon STEM Hub–which are both active work groups within the SORS developmental continuum; the regional Self-Healing Communities initiative and the SORS partners’ commitment to promoting regional understanding of the Adverse Childhood Experiences Study and its impact on the entire developmental continuum including the workforce and employers, as well as state and regional efforts underway that are focused on improving student success, graduation rates and workforce readiness. Special attention was placed on STEM (Science, Technology, Engineering and Mathematics), CTE (Career-Technical Education), Career Related Learning Experiences, and accelerated college credit in high school. Peter Buckley, from Southern Oregon Success, introduced the work being done to combat ACEs (Adverse Childhood Experiences) and promote Self-Healing Communities. Among the many impacts high levels of ACEs have on individuals, families, and society is educational underachievement, poor work habits, and underdeveloped social skills. Addressing ACEs early in life shows great promise as a strategy for developing a strong local workforce. Thanks to Our Volunteer Leadership! 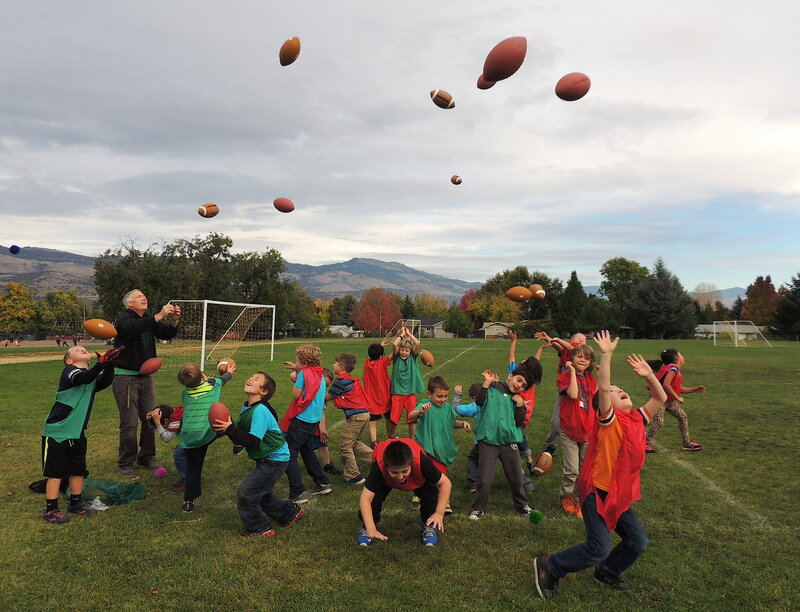 Southern Oregon Success is led by volunteer leadership who demonstrate their commitment to the children, youth, and families of Jackson and Josephine Counties on a daily basis. Our volunteer leadership drives the SORS’ agenda and rolls up their sleeves to do whatever is needed to move things forward. We are grateful for their continuing support!